We know our customers from Billings and Lockwood, who are looking for a crossover SUV, will love the 2017 Santa Fe Sport no matter the trim they choose. A dynamic, versatile, and elegant crossover, the Santa Fe Sport is the whole package. The mid-level 2.0T trim level offers drivers a more powerful engine and a longer list of equipment and technology inside that make the driving experience comfortable, a little more luxurious, and definitely road-worthy. Let’s take a look at some of its key features and how it differs from the base model. 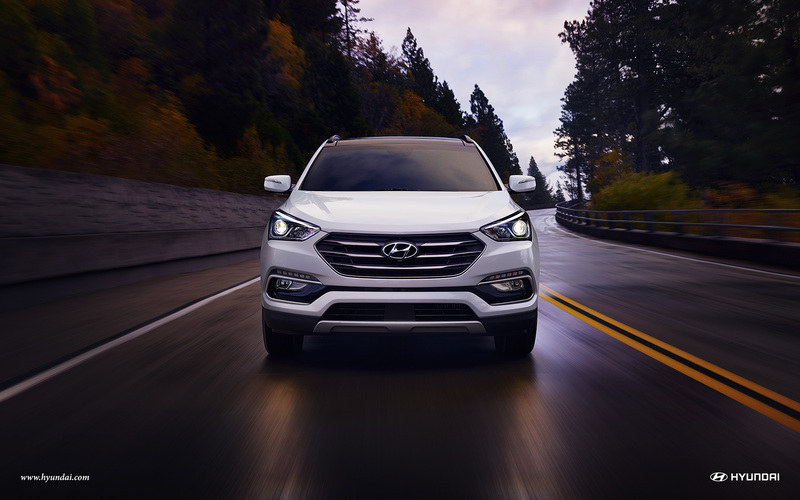 Under the hood of the 2017 Hyundai Santa Fe Sport 2.0T model is a turbocharged 2.0L 4-cylinder engine. That’s an upgrade from the 2.4L engine that powers the base model. It also bumps up the horsepower from 185 to 240. The EPA has estimated the fuel economy at 20 city/28 highway mpg for a FWD configuration, which comes standard. There is also the option of AWD, which brings the mpg rating to an estimated 19 city/26 highway. The mid-level 2.0T trim level also adds more equipment to the standard list of features that you’ll find inside the 2017 Santa Fe Sport, making it a more comfortable and luxurious driving experience. 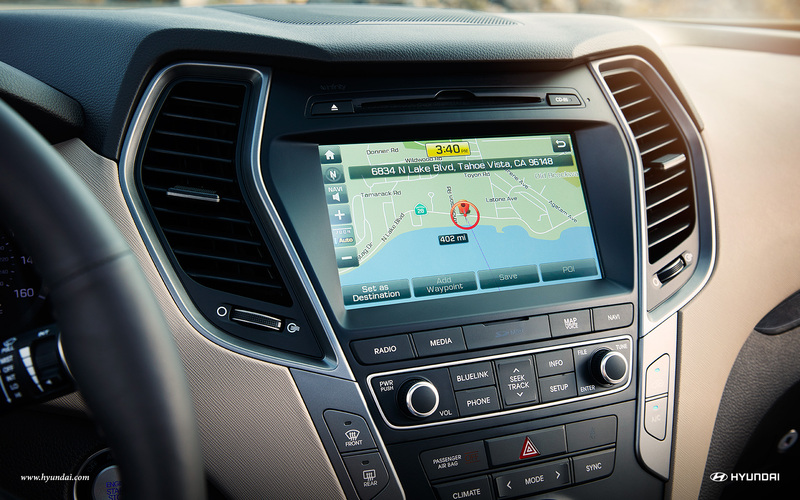 The 2.0T also upgrades the 5-inch display screen on the base model to a 7-inch touchscreen display that incorporates Android Auto smartphone integration and Hyundai Blue Link services that provides remote access, emergency assistance, theft recovery, and geo-fencing. 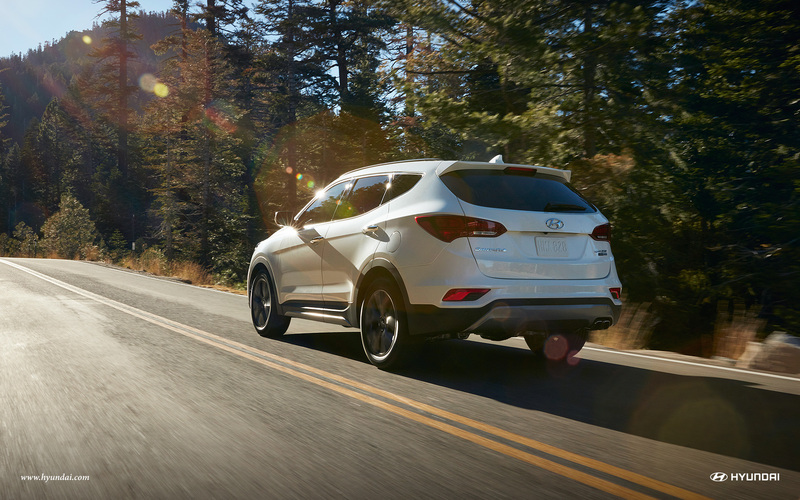 Don’t wait to test-drive the 2017 Santa Fe Sport 2.0T model today at Underriner Hyundai. 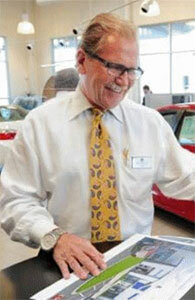 For more information, contact us online or call 406.255.2361. We hope to see our Billings and Lockwood customers soon, so make sure to stop by today to take the Santa Fe Sport for a spin!